Sometimes I report about slot games that aren’t from NetEnt, just because it evolves around a big release and NetEnt casinos have or will be adding them. Secret Santa is one of those games which is already available at Guts, but I believe will be available at other NetEnt casinos soon. 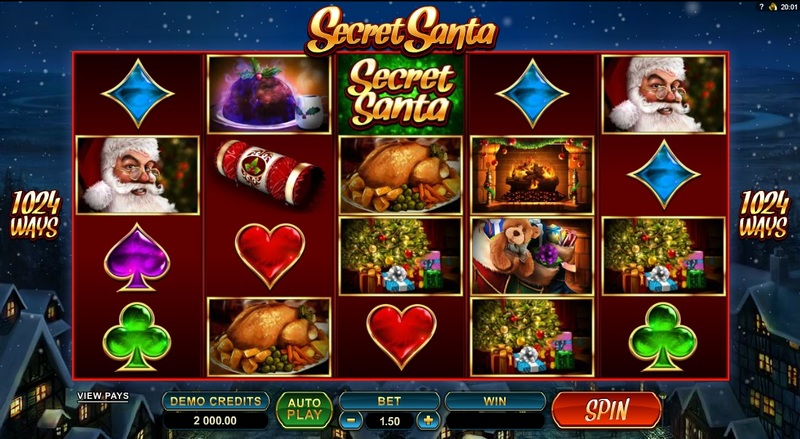 Secret Santa is the new slot game from Microgaming that has been highly anticipated. This game comes with 1024 ways and 7 random features that can trigger at any time, on any spin. And then there is also the 5 of a kind Again feature. Get 5 of a kind, without any wild symbols, and after you are paid, those symbols will spin again and change into new symbols, paying another 5 of a kind. I think Secret Santa will be the best Christmas slot release of the year and also one the most exiting slot games from Microgaming in a while. I am sure other NetEnt casinos like CasinoEuro will add this game soon. But for now you can play it at Guts Casino. Which also still runs their Christmas Calendar with bonuses and free spins every day. Below a quick view of all the features.